Described as a Fulling Mill in 1543, meaning it was used in the production of cloth, the power from the water wheel was geared to raise large wooden mallets that pounded the cloth in troughs filled with fullers earth and water, a process designed to thicken the material. Later the building was used for milling grain. 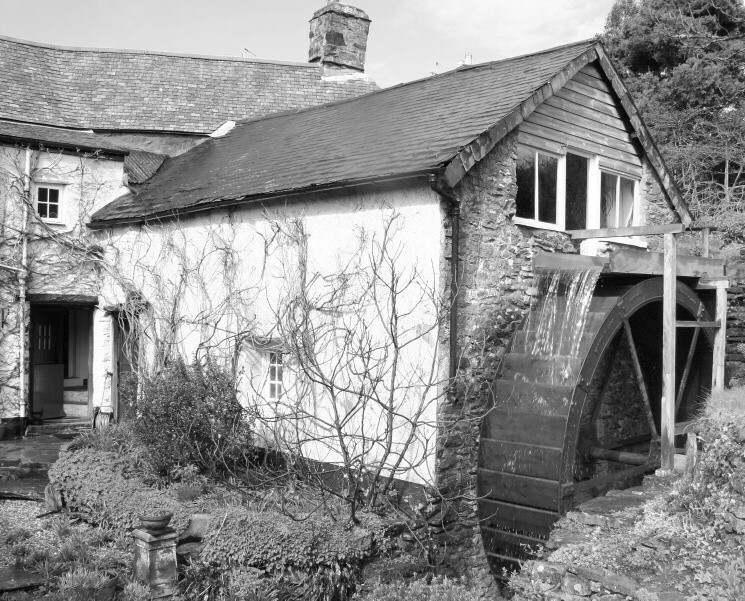 In 1967 the 13 ft wheel at the Mill House turned again after a restoration project carried out by Peter Teal. In an article for the 1968 Exmoor Review he described how the mechanism of the mill had been abandoned after the last miller joined the army in 1942.